During this first half of the month of October, Sun Is The Future will be bringing you two very special events: Solar Decathlon 2013 (in Irvine, CA in USA) and World Solar Challenge 2013 (between Darwin and Adelaide, Australia). Sharing the press release I’ve just received regarding the Solar Decathlon 2013 of Solar-Powered Houses Opened to the general public at Orange County Great Park in Irvine, CA of USA. Despite the U.S. government shut-down, Solar Decathlon 2013 of U.S. Department of Energy Goes On! Thousands are expected to visit the houses, which will be open to the public free of charge on eight days over two weekends: from Thursday, October 3, through Sunday, October 6, and again from Thursday, October 10, throughSunday, October 13, from 11:00 a.m. to 7:00 p.m. PDT. Visitors are able to tour the houses, gather ideas to use in their own homes, and learn how energy-saving features can help them save money today. The overall winner will be announced on Saturday, October 12 at 10:00 a.m. PDT. This Solar Decathlon is the sixth such competition since 2002. My dear viewers/readers, it’s been a great pleasure of mine to share with you a glimpse of our future world, where people are/will be driven by their passions and optimism for our future world rather than purely for the immediate monetary rewards. 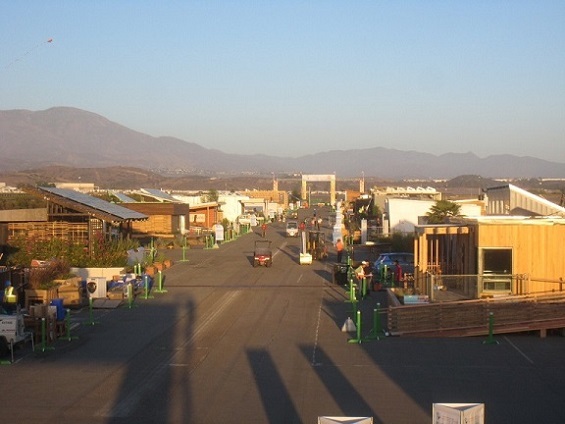 Let’s applaud for those who are sweating away at Solar Decathlon 2013 (Orange County’s Great Park, CA, in USA)! This entry was posted on Thursday, October 3rd, 2013 at 3:33 PM	and is filed under Educational, News. You can follow any responses to this entry through the RSS 2.0 feed. You can leave a response, or trackback from your own site.